Applications for free and reduced price meals are available in the main office of every school and on the district web page. Eligibility is determined by household income and the number of persons residing In the home, Parents/guardians are encouraged to re-apply if there is any change in household income or in the number of persons residing in the home. 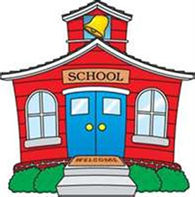 Monthly menus are available on the district web page. For more information, contact the district Food Service Department at (856) 327-6162. Helps low income individuals and families buy groceries needed to eat healthy.